Urban-chic, gorgeous views, free parking. Let’s be honest. A lot of city hotels have conference venues. But how many boast an exhibition hall so spacious that you can roll away the fully retractable doors to create an entry point wide enough to park cars or boats inside, until that big launch moment when your colleagues and VIP guests will be applauding your ingenious choice of venue? 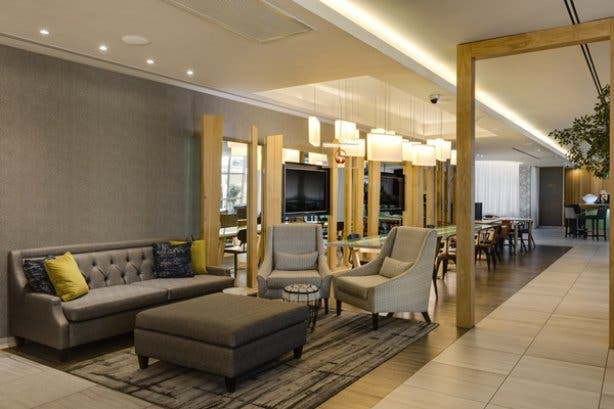 And applaud they will when they experience Protea Hotel Fire & Ice by Marriott’s free parking, free Wi-Fi and secure, private access to executive suites, all in the heart of Cape Town’s CBD. If space is a luxury in the CBD, this hotel celebrates every inch of it. From the smallest executive boardrooms to the biggest exhibition halls, the mood lighting, contemporary design and attention to detail make every space look and feel unique, no matter the conference size, occasion or budget. With over 8000 square feet dedicated to five event rooms, from the intimate Executive Boardroom, which can host up to 22 people, to the exhibition Launch Pad, which caters for 200 guests, every need is catered for. The executive chef will design a custom menu for your guests, while the hotel’s dedicated team of onsite co-ordinators will arrange the room and your itinerary to make sure everything runs like clockwork. The hotel is known for thinking out of the box, which is why it offers a dedicated storage room that is secure and easy to access in the underground parking area – perfect for storing all that event paraphernalia. And when it comes to the added expense of setting and packing up, the hotel minimises costs by offering these packing days free of charge. Even before guests arrive, the hotel has apps and online tools that take the hassle out of booking and planning. And if you are stuck for theme and decor ideas, you can always search their online database of photos for tips and layout ideas specific to the venues. They also have some special tools to take the hassle out of reservations. The complimentary Reservation Link lets guests reserve rooms at their leisure, while the mobile check-in ensures that checking in is always fast and efficient. It’s these little details that make this hotel one of the most notable function venues in Cape Town. It’s hard to find a centrally located hotel that offers the big three in VIP security – safety, privacy and access. 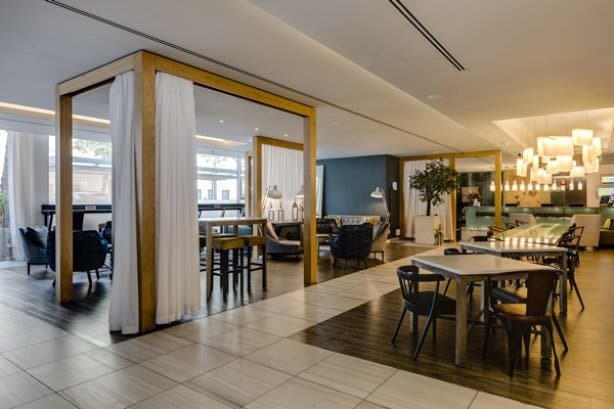 The hotel delivers, with a single, one-way road that loops around the hotel to ensure secure access and executive suites that offer apartment-style privacy including private kitchens, dining and lounge areas, as well as semi-private access via the underground parking. It’s no wonder these suites are a firm favourite with celebrities, film crews and government officials alike. 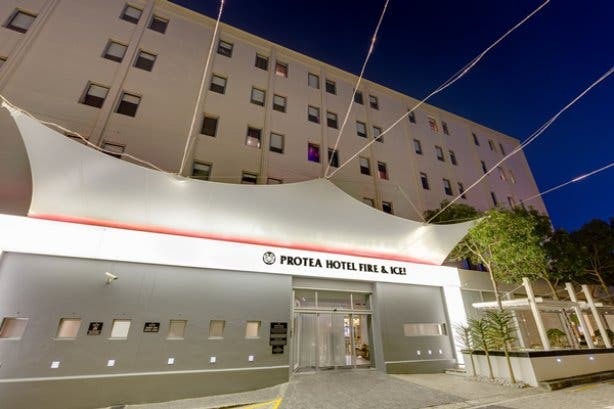 In fact, the hotel is known for its attention to detail, making a Protea Hotel Fire & Ice by Marriott one of the most special hotels in the city. Key to any successful conference is how delegates can spend their precious downtime without having to fuss over planning. Here again, guests are spoilt for choice. They can relax in one of the chic lounges, enjoy the pool lounge deck area with its superb mountain and city views, or walk to one of the city’s popular cafes, spas and shops. You really don’t have to go far to feel relaxed and revitalised in this hotel. If you happen to be there on a Friday or Saturday night, guests can even unwind on the dance floor with some of SA’s top DJs playing live or, during the first weekend of every month, catch a few laughs at the Samoka stand-up comedy events. Tip: The hotel’s not all business. You can even invite your mates around to watch the game (complete with drinks and snacks) on an ultra-large flat screen in the lap of luxury. Ask about Protea Hotel Fire & Ice by Marriott’s Man Cave specials. The hotel believes that every conference or meeting should start with a delicious buffet breakfast. In fact, it takes its breakfast buffet so seriously that it has a team of specialist chefs who are trained in the art of making the perfect egg. If you can imagine it, these “egg-sperts” will make it for you. And it’s not the only specialist skill on the menu. The hotel boasts 38 signature milkshakes that start with the “nice” Aero Attack and Lindt-O-Licious and continue into their “naughty” grown-up milkshakes, like Patronage, which includes a cheeky shot of Patrón coffee liqueur or Tequila Mockingbird, which is known to erase any conference tension. Want more than just a milkshake? No worries, the downstairs bar hosts daily specials and some of the most talked about cocktails in town. “Personalised packages” is probably the best way to describe the unique experiences that this hotel creates for every guest and occasion. 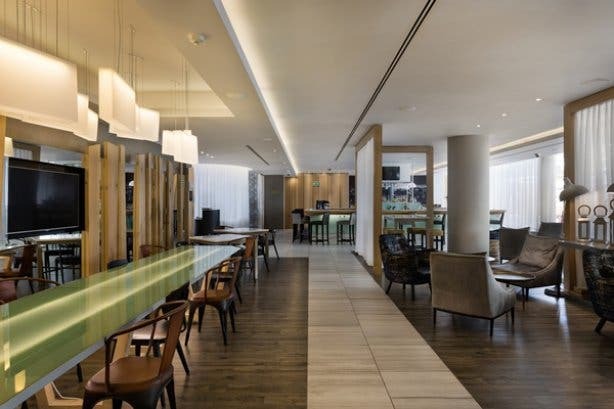 From its range of standard, luxury and private executive suites to its extensive offering of large conference halls and intimate meeting rooms, this is one place where design, luxury and personal comfort come together in a seamless package. And all in the heart of the magnificent Cape Town CBD. Tip: The hotel is water-wise, with catchment tanks on the roof and water-saving devices on taps throughout the building. As such, the pool will be closed for the duration of the drought. The bill: Starting at R395 per person for the standard half-day conference package, which includes standard conference equipment, no setting up or breaking up fees, lunch, tea and coffee on arrival as well as snacks for one break session (morning or afternoon). On the hunt for entertainment and event venues that will blow your mind, not the budget? Check out these surprising function venues and be sure to up your game with these unique spaces for end-of-the-year functions. And if wedding bells are ringing, check out these top bachelor party ideas too. Looking for something different to try this weekend? After you catch the game at one of these cosy venues to watch rugby, do a quick taste tour of the must-try milkshakes in Cape Town before enjoying a sunset drink at one of these special cocktail venues in the mother city. Or you could laugh yourself silly at these stand-up comedy spots in town.